Let us take care of your party! Whether it be friends, families or colleagues, we’ll do the hard work so you can relax and enjoy! 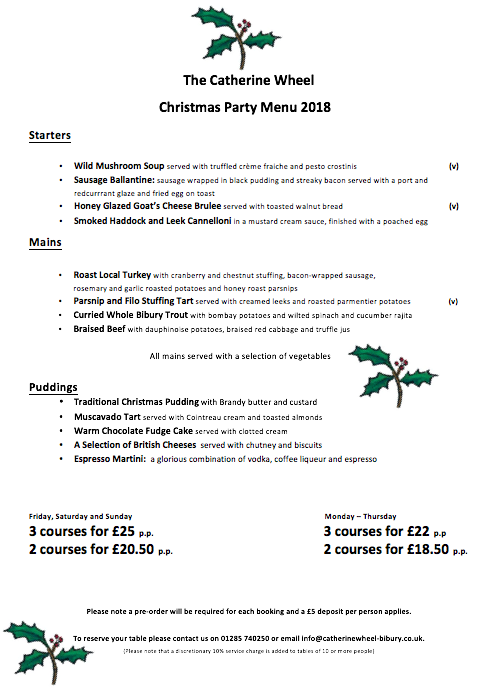 Take a look at our Christmas Party Menu and get yourselves booked in! We are taking bookings from the 26th November through until Mid January. Whether you're an early bird or prefer to celebrate afterwards a warm welcome awaits you.